Since ancient Egypt when moisturisers were first used to offer a barrier against the harsh sunny climate, women have been routinely cleansing, toning, and moisturising without question. It’s just what we’ve always done. We learnt it from our foremothers, we’ve mimicked the behaviour of all the women before us, and now we’re left with habitual actions in our routine that rarely ever change unless in response to a convincing marketing campaign or advertising fad. But, what if I told you that since the establishment of Biologi in 2017, your whole skincare routine is up for discussion? After all these years of slapping on potions, lotions, and creams; you no longer need to douse your face – or body – in moisturiser, and you won’t ever have to again. Through years of exposure to misinformation delivered via aggressive sales campaigns and marketing gimmicks, we’ve unintentionally been using products that can harm our skin cells, not – as we’ve been led to believe – help them. 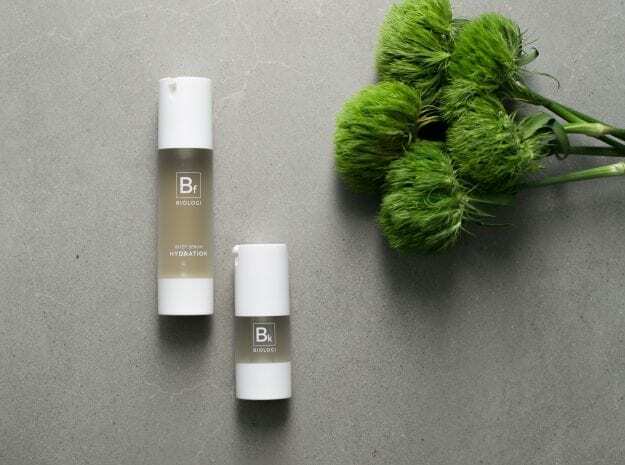 While many consumers have tried to do the right thing, and use natural or organic products, no such natural product has ever genuinely existed until Biologi launched in 2017. Clever descriptions, good use of taglines, and an unregulated industry have created a culture of false advertising that allows the labelling of chemically-based, unnatural products to include ‘derived from nature’, ‘good skin, naturally’ and an array of similar phrases that make us believe we’re doing the right thing. Are you checking your labels yet? Because we advise it. But, the good news is, regardless of the chemicals and toxins that you’ve been inadvertently putting on your skin since you were old enough to moisturise, you CAN undo the damage and start to create healthy skin cells, reduce visible signs of aging, and contribute to your overall well-being in the process. And you can start today. The existing range of Biologi serums has everything you need to keep your skin supple and reduce the visible signs of aging. On top of this, our unique extraction process means that every single one of our products contains pure active plant extracts only. There are no added activating ingredients, no extra diluters, and no toxic perfumes to create a sweet aroma. Your Biologi products are made from one undiluted plant serum, and here’s how you can use them in your existing skincare routine. Traditionally, we’ve been taught to cleanse at night to remove the grime from the day however it’s vital that you give your face a gentle cleanse first thing in the morning too. While you sleep, your skin repairs itself meaning that every morning, you wake up with a light layer of dead skin cells and further dirt caused by linen, sweat, and dust particles. Cleansing will remove this grime and also gives a smooth base for makeup making it easier to apply and contributing to a brighter face in the process. The Biologi luminosity face serum is 100% Davidson Plum extract containing anthocyanin, a phyto-active anti-oxidant compound which promotes anti-aging and reduces skin blemishes. We recommend helping your skin adapt to the serum by using it every couple of nights first of all, but after that, use in the morning as a barrier to environmental damage exposure that occurs during the day. Sunscreen is essential and the higher factor, the better. You cannot undo the damage that sun causes to your skin cells so start using factor 50 or above immediately to minimise the damage to your skin cells in the future. While sunscreen will stop you from getting sunburnt, it can only protect you from a maximum of 55% of environmental damage. The only way to protect your face from 100% of environmental damage is to use it daily in conjunction with a serum rich in anti-oxidants (such as Bd Luminosity face serum). The benefits of double cleansing aren’t just fabrications made up by cosmetic companies to sell more of their products. Double cleansing provides a range of benefits to the skin and should be an essential part of your end-of-day routine. The first cleanse removes surface makeup and grime. The second cleanse permeates deeper layers of the skin and will increase the efficiency of your serum as it helps it to penetrate even deeper. There are a variety of opinions around which type of cleansers you should use but we recommend you find cleansers that respond well to your skin type through a consultation with a qualified dermatologist, or good old-fashioned trial and error. Once you’ve thoroughly cleansed your face and neck, all you need is half a pump of Bk rejuvenating eye serum around the eye area. The high concentration of vitamin C makes a very strong stimulant for collagen production and reduction of dark circles. Pay particular attention to any wrinkles or blemishes and, if you’re concerned with pigmentation or deep lines, a full facial application of Bk serum before bed will soak into your skin and repair cells while you sleep. Bd serum can also be used all over the face at night if your skin is sensitive or dry. Two to three times a week exfoliate your face to remove dead skin cells. Not only does regular exfoliation leave your skin smooth and bright, but it will also stop your pores from clogging which can cause oily skin, facial blemishes and pimples. Always choose an exfoliator to suit your skin type. A product that is too harsh could contribute to existing skin conditions, and one that is too gentle may not work at all. Every second night, use Bf Hydrating body serum all over your body. Bf Hydrating body serum is 100% Finger Lime extraction which is known as the most superior lime product available. Applied topically to your whole body, Bf body serum will leave your skin smooth and supple while providing you with an abundance of phenolic acids rich in anti-oxidants. Because the Bf serum is undiluted, it can leave your skin feeling slightly sticky on first application, so it’s advisable to use it at night giving it time to seep in while you sleep. If you’re committed to an ethical skincare routine which includes products so natural you can drink them, visit the Biologi shop today.